It's (finally) getting to the time of year when we all start thinking about how we can get our gardens in shape for spring and summer, whether that be by pruning back unruly plants, getting back into the rhythm of regularly mowing the lawn or investing in the odd bit of garden furniture in preparation for barbecue season. So, with the Easter Bank Holiday just around the corner, what better time for Amazon to launch their Spring Sale? 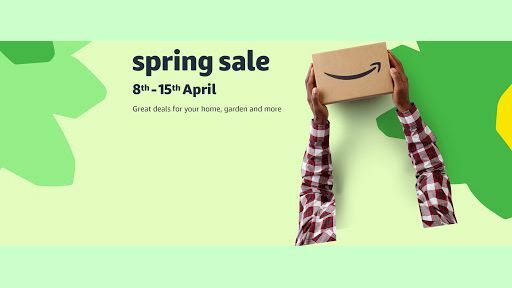 This year, the Amazon Spring Sale is offering incredible deals on the outdoor essentials you'll need to transform your garden (as well as mattresses, small electrical appliances, smart home systems and much more). For our pick of the latest bargains, jump straight to our best Amazon deals page – there are sales on everything from lawnmowers and garden essentials to mattresses, appliances and electronics.